※Reservation required if you need table. “dining & bar KITSUNE”, which is located in the middle of Shibuya and Ebisu making people expect something for its basement space, continues still progressing everyday from its opening day on 2000. Now we are reaching 14th anniversary, and we really thank you for your support to KITSUNE for a long time. We planned special dinner for our anniversary. 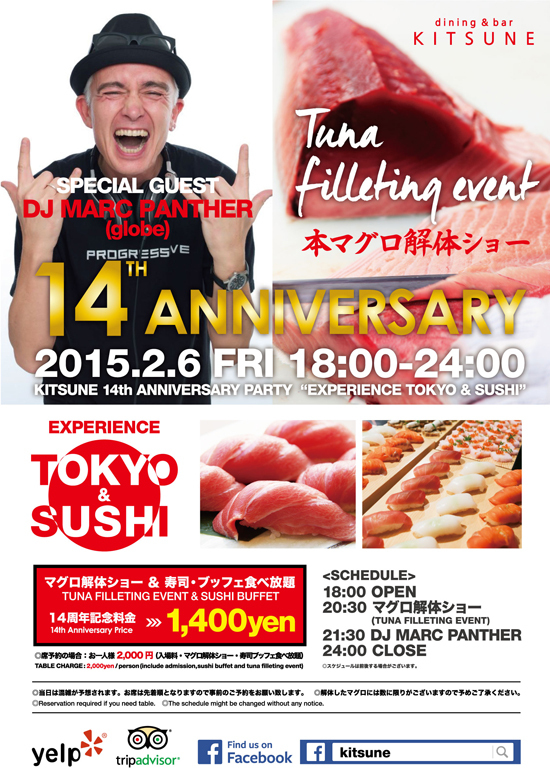 You can enjoy “Tuna filleting event ”and “Sushi buffet”. You can also enjoy good music by DJ Marc Panther (globe). 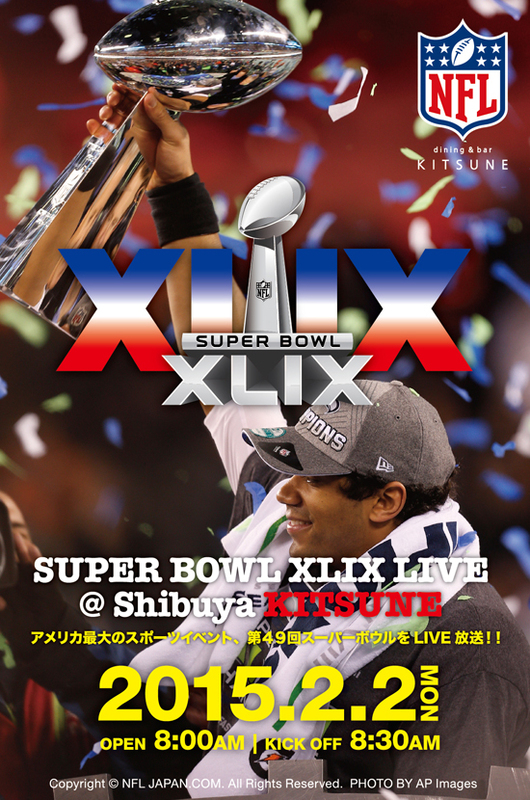 Please come to experience TOKYO and SUSHI!! ◎Reservation required if you need table. ◎The schedule might be changed without any notice.